CMHA Ontario’s 2017/2018 Annual Report is now available. This year’s report highlights the organization’s key accomplishments and advancements in the mental health and addictions sector from the past year. BounceBack, a new initiative providing free, cognitive behavioural therapy-based skill-building services for adults and youth 15 years and older living with mild to moderate depression or anxiety. CMHA Ontario’s opioid overdose response toolkit, an easy-to-understand resource to help organizations and individuals better respond to issues related to opioids and how to deliver life-saving naloxone. 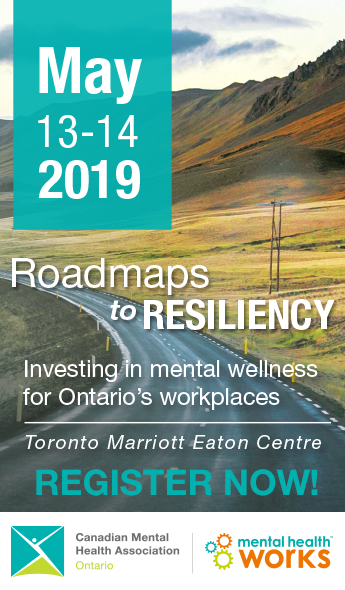 The Centre for Innovation in Campus Mental Health, which helps Ontario colleges and universities enhance capacity to support student mental health and well-being. Read the report below, or download the PDF version.